Being undecided about career goals is common. That's not necessarily a bad thing; it just means you're thoughtful and open to possibilities. We understand. But who wants to waste time and money taking classes they never wanted? We understand that, too. Let us help. Maybe we can help you find your career goals. Maybe we can help you save money while you explore your options. We have the resources and expertise to help you—all you have to do is to ask. Choosing your career can be stressful and time-consuming. We can help. Our resources are free, so give them a try. Did you know that many courses are accepted for a variety of majors? This is especially true during your first semester. We have specialized plans called Smart Start which help you find "safe" courses—ones that won't waste your time or money—while you are exploring your academic options. But be careful. The longer you stay undecided the more courses you'll take that are unnecessary for your final major. 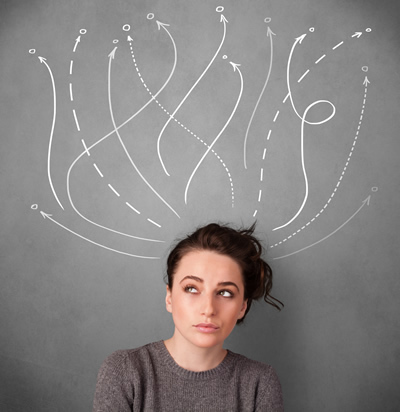 Transferring to a university may seem complicated. Our Advising Office can help you sort through the paperwork and the requirements.